“The idea is that when we praise kids for being smart, those kids think: Oh good, I’m smart. And then later, when those kids mess up, which they will, they think: Oh no, I’m not smart after all. People will think I’m not smart after all.” (quoted from The Atlantic) Basically praising a kid for being smart sets them up for failure. You can read more about the “s” word here. Not all kids are discouraged when they have to work hard. Some actually enjoy a challenge! It all depends on how they perceive themselves and if they think success is dependant on effort or on innate capacity. 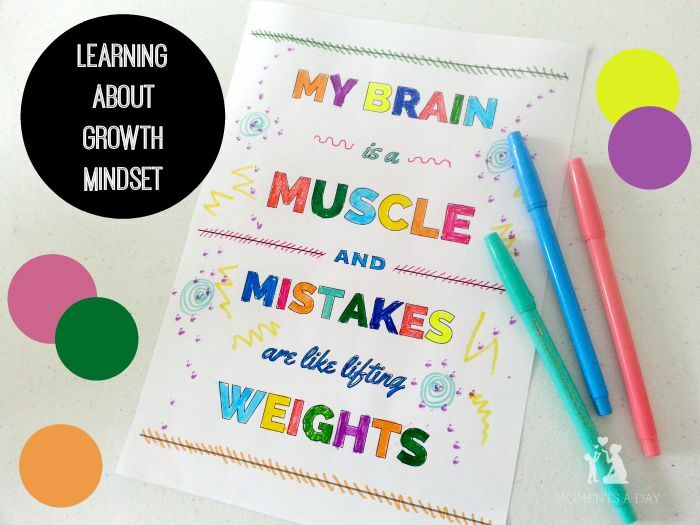 Have you heard of a “growth mindset”? A growth mindset is a frame of mind focused on a love of learning and resilience for life because the person believes hard work leads to achievement (you aren’t necessarily “born with it”). When kids and adults have a growth mindset they feel happier and can truly focus on improving their own selves versus competing with others. Fostering this sort of mindset is definitely something I am working on with my kids as well as myself! 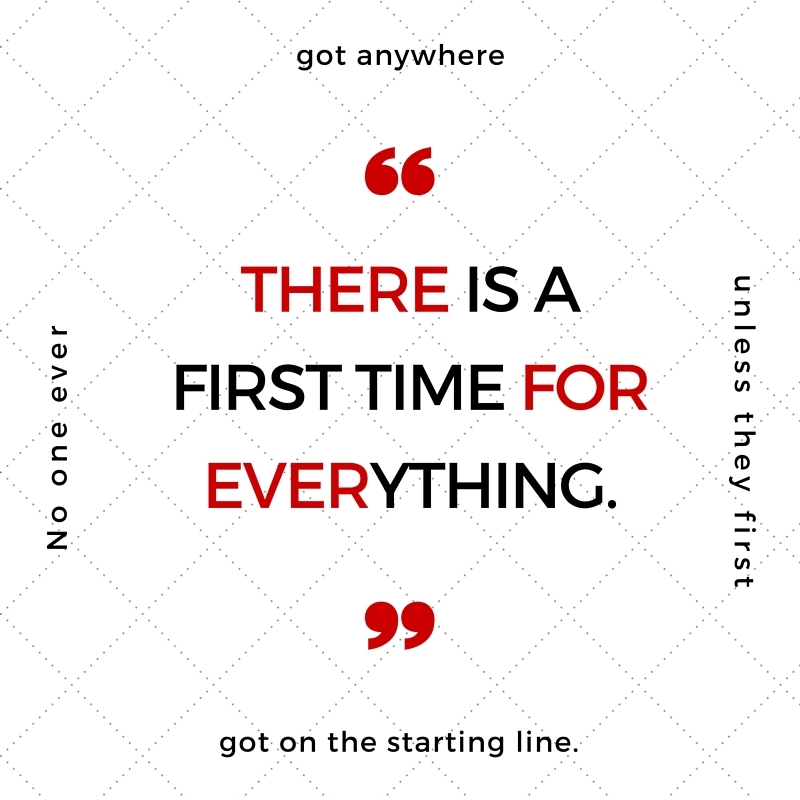 To get a better introduction to this theory and learn more about the research behind it, check out the 10-minute TED talk from the very person who coined the phrase, Carol Dweck, called The power of believing that you can improve. I bet you don’t want your kids to only work hard for an award, or praise, or to be “better” than someone else. If we don’t praise kids for being smart or doing a “good job”, though, how can we encourage them? 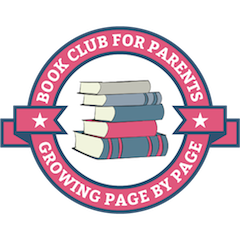 As was suggested in the video, I am also doing my best to help my son develop a “growth mindset” by praising the process – his improvement, his effort, his focus – instead of good grades or getting it “right” the first time. He really does love learning! (Turning to him) What is your favourite subject to learn about now? We are very proud that he has been making a good effort. Of course I don’t want to say he’s not smart (that’s not the point). But I want to shift the focus from the “smartness” and focus on his love of learning instead. Even if I am doing my best to use phrases like this, however, I don’t succeed all the time. It has been a big challenge for me to switch off the traditional praise and give the “growth mindset” encouragement… and know how to respond when others give their own praise as well. And whether or not this is the reason, my son does sometimes get discouraged sometimes when things don’t come easily to him. To assist us with this issue, I have created a couple pieces of art for my son’s room, and you can download them if you wish. They focus on trying and not worrying about the outcome. I hope this is what my son will ultimately do in life… give it his best shot and not worry about success, just do what he loves! I also found this awesome printable colouring page on one of my favourite blogs, The Reformed Idealist Mom. It was a fun activity to colour it in with my son – we worked on it together and chatted as we coloured. 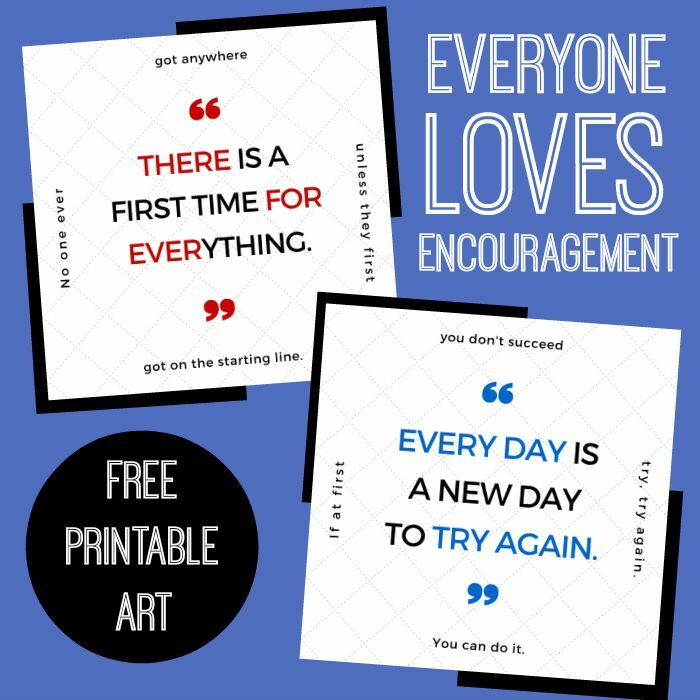 Find out how to get your own printable here. 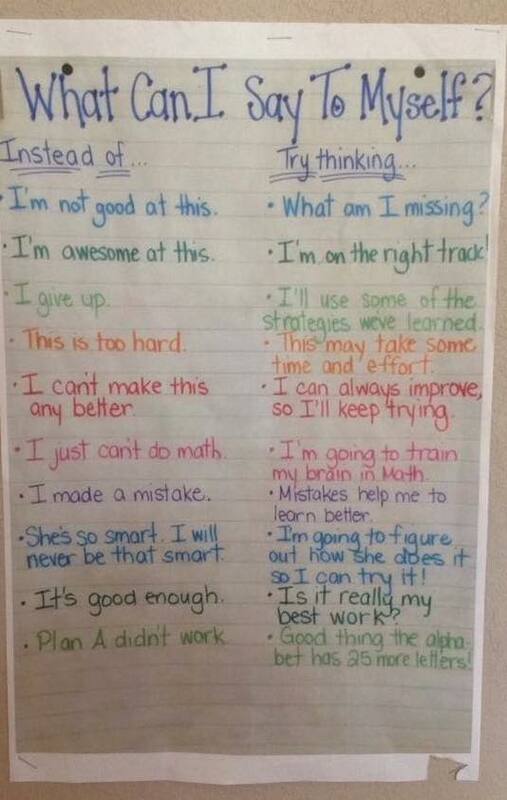 As for helping kids develop self-talk which fosters a growth mindset, a follower on my Facebook page shared this wonderful list she had printed off (I eventually tracked the original down – it was created by teachers at Fieldcrest Elementary). I hope by using these phrases and continuing discussions such as these, I can help my son develop a “growth mindset” and not be so fixated on being “smart” (even if others refer to him in this way). 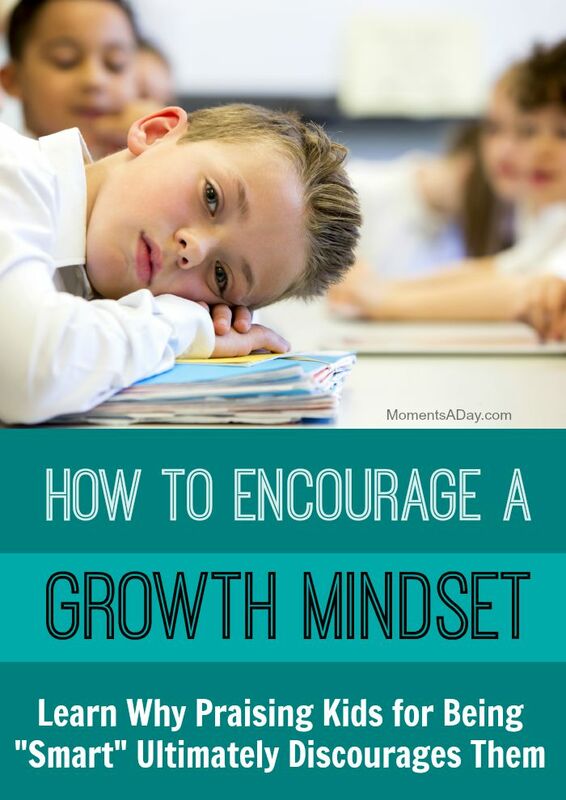 Do you have a “growth mindset” or is it something you are working on with your kids? « Can we please show some respect on the road? Thank you for all the tools and explanation, I think the way you are trying to turn the focus to love of learning and effort is great! Love this post – so right that we need to arming our kids with the skills and motivation for a lifelong learning journey. I love that – arming them with motivation for a lifelong journey. So true. LOVE THIS POST Chelsea!!! We’re trying to change the language we use in our house too after hubby did an inservice on promoting a growth mindset in our kids. So valuable and such small changes to what we say can really help and encourage them! 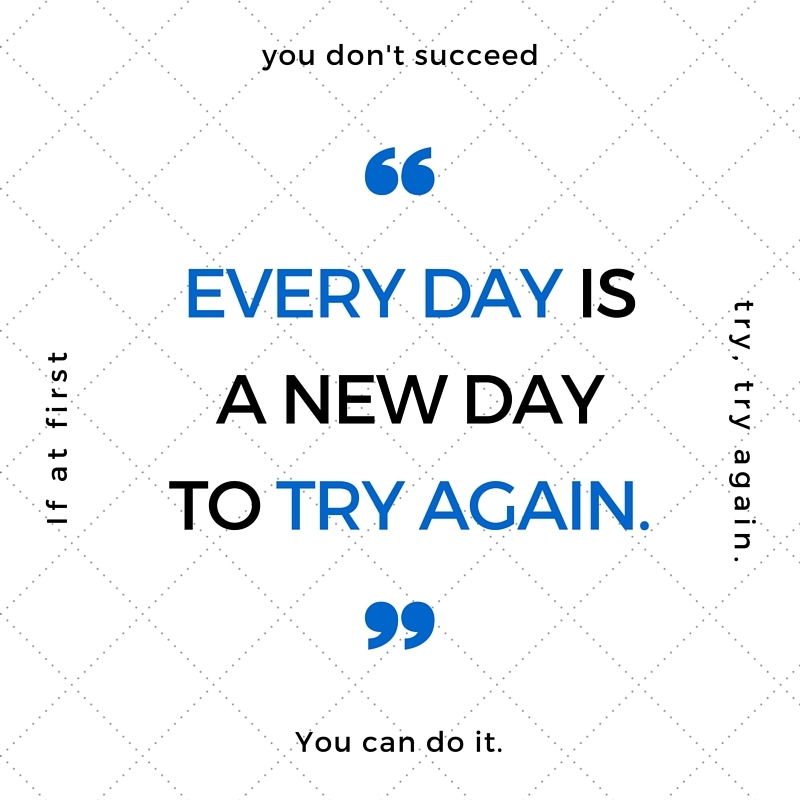 🙂 Pinned and shared with friends – thanks!! Thanks so much Bek, I have really enjoyed learning about it and even though the phrases don’t always come naturally to me, it’s great to have the lists to constantly refer to! Isn’t that awesome when you really believe in something and then realise it’s a “term” you can look up and find resources for?! There’s so much online and more coming out all the time. 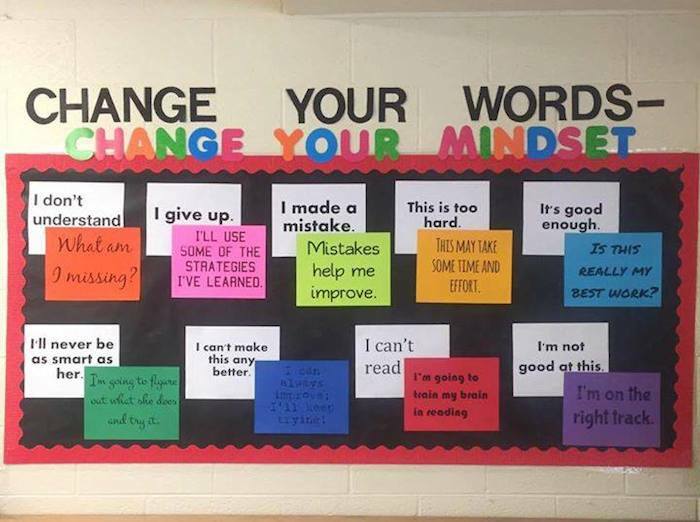 Absolutely love the change your word -change your mindset wall.